Good craft work is hard to find! 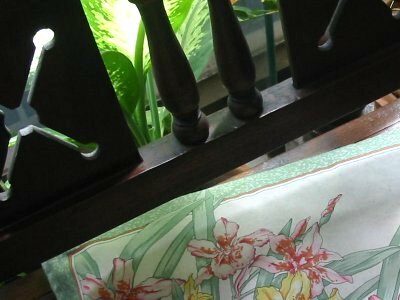 Although mass-produced crafts are commonplace in Thai markets it is increasingly difficult to find original work uninfluenced by the tourist market. 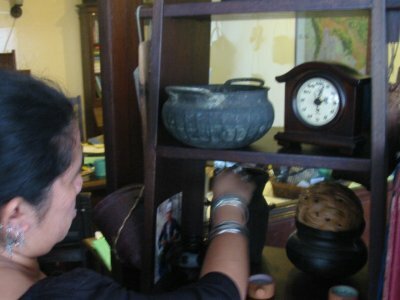 Following her grandmother's interest, Nim has been collecting materials for over 20 years. Nim's bracelets are Lao silver, made from old French coins. ...but not impossible if you look hard! 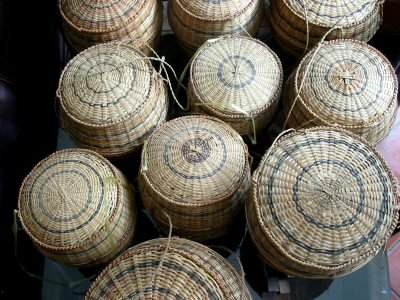 The Hmong people of northern Thailand and Laos still weave in the old way. 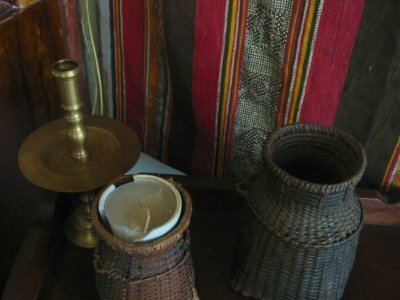 Laos' rapid reduction in the opium trade has encouraged Hmong production but the cost of such items is rapidly increasing. 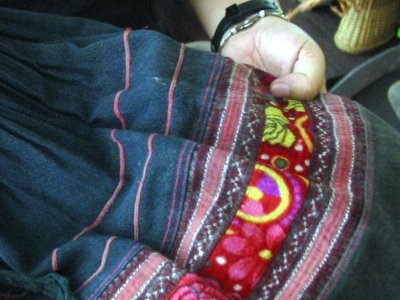 Nim's interest in Hmong crafts has in recent years taken her on visits to craft centers in Laos and Cambodia. Cultural symbols, old and new. 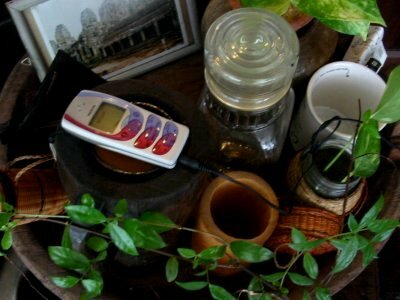 We noticed an odd juxtoposition in Nim's office the other day: The ancient temple and the recharging cellphone. 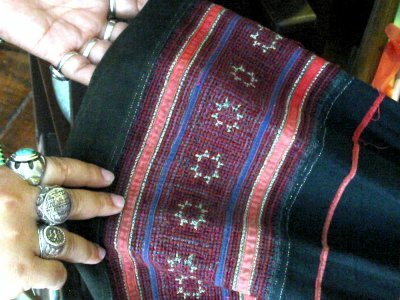 This Hmong grandmother found good use for a swatch of contemporary fabric. She used it to repair her daughter's skirt. 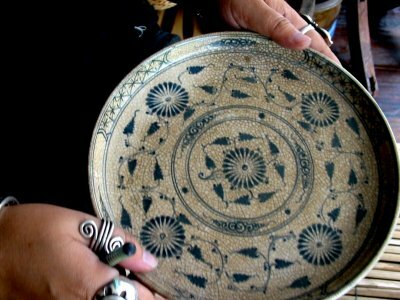 Sukothai pottery has been famous for centuries. A small group of potters is continuing the tradition. A happy accident. The teak chair can be purchased in a small shop near Jatujak market for about 50 dollars US. Towels like these hang in Thai bathrooms. 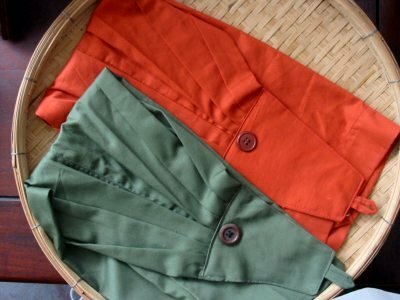 About $4 from a Surin village.